Analytics guru Dr. Sid Shah discusses how the search giant has quietly and massively changed the online ad game again–in favor of big brands. First impressions are everything–and they used to be easy to track. Before Google Instant, advertisers could monitor “impressions,” or how many views an ad gets, by following the number of searches or clicks on Google or Yahoo or Bing. Now that Google shows results automatically with each letter typed, the traditional definition of an impression is being stretched to the max. Impressions are no longer measured only by searches and clicks, according to Google. In the Instant era, it also counts if a user stops typing, and results are displayed for three seconds or more–the length of pause to take a sip of coffee or … sneeze. Impressions are also now garnered from predicted queries, related searches, hitting the “Search” button, and even spell corrections. How will this affect advertisers? To find out, we spoke with Dr. Sid Shah, director of business analytics at digital marketing firm Efficient Frontier. Shah has a PhD in algorithm development and has been studying the search industry for close to a decade. Tell us your initial opinions on Google Instant. How do you think it will affect advertisers? It’s going to increase the impression volume of advertisers. There’s a significant bias toward brand terms. If you go to Google right now and type in the letter A, you’ll find four brands before the letter A itself. Type in “Travel.” The minute you type “Tr,” instead of showing you “Travel,” the first things that come up are ads for Travelocity. You’re going to find that even before you’re able to type “Travel” to look for generic results, you’re going to find a lot more advertising related to travel. 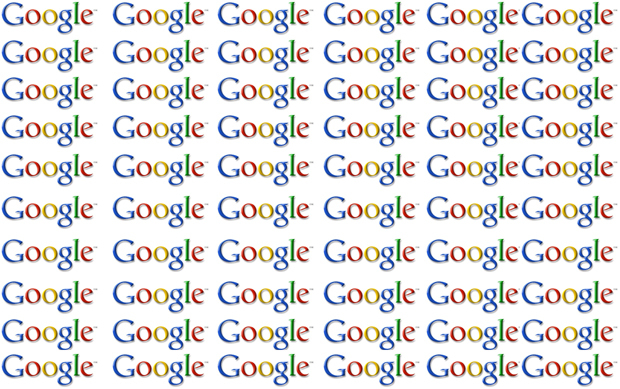 We highlighted all the brands that benefited via Google Instant ABCs. Clearly, there is a bias toward big brands. Does Instant put smaller companies at a disadvantage? I think there will be winners and losers. For example, if you’re Priceline, you’d be pretty miffed at not being able to compete on an even keel with Travelocity for the word “Travel,” which actually is a pretty big word. Words like “Cheap Airfare” or “Cheap tickets” are all very big volume generators for travel. Or let’s say I’m ABCBooks.com. The minute I’m competing with Amazon, I’m done for. By the time you type A, you’ll probably click on Amazon. Not everybody is going to click on Amazon, but there will be leakage–ABC customers will go to Amazon. In some sense, Google is controlling what’s being searched. They can control the popularity of a certain term or definition. If you type “Cheap Tickets,” it already starts showing me tickets to Hawaii or Disneyland, depending on where I’m based. In other words, Google can control the popularity of areas and destinations that it could not before. So if they wanted to, they could popularize Hawaii over Disneyland. And I have to believe there’s some bias going on on Google’s end. How will this impact impressions? I don’t have the data yet. But my opinion is that it will increase impression counts for a lot of keywords. Think about how older demographics type in Google. They are going to take longer than three seconds sometimes. Not to mention that during that time, we’re all getting distracted. It makes it difficult for the Hitwises and comScores of the world to actually count impression shares. Who will this increased impression count benefit, advertisers or Google? Depending on your name and brand, you might actually benefit from more traffic. In the last two years, I’ve noticed the number of times you search on Google and see only white spaces to your right and top has become less and less. Google does not want to waste any of their inventory. Now while I’m searching, Google wants to show ads. It’s almost like walking into a store, and you’re walking toward, say, the aisle that sells baskets. And while you’re walking toward that aisle, they’re showing you ads. Instant search is kind of like companies throwing baskets at you while you walk down the aisle. Yes, at first they’re guessing that you’re probably buying soap because you’re walking toward this aisle. And now they’re showing you soap ads. And then as you walk toward the basket aisle, they’re showing you different ads. They don’t want to waste any seconds while you’re walking by not showing you ads. So for certain brands, you must expect some spillover. Some of them might buy soap. At the very least, they’re going to get some benefit. Has Google has expanded the definition of an impression too much? You’re absolutely right. In the old days, an impression would be you typing something, and what you type is totally contextual. Now, you’re going from contextual to probabilistically-contextual. Again, it’s going to make it really hard for comScore to measure the marketplace now. The general consensus in the market is that search is slowly maturing. Google, Yahoo, and other engines are trying to conquer that by changing how you measure it. In our last quarterly report, we saw a sudden spike in impressions over the last several years. Look at retail. Impressions went up 80% to 90%. Are you telling me 90% more people are going online year-over-year looking for a retail product? No way! Something is going on. I euphemistically call this “inventory optimization.” It means Google and others are just showing you more ads in more places. Will other search engines follow Google with their own Instant search? It will all be data-based. If next month we see a huge spike in impressions, and comScore reports an impression spike for Google, you should expect the other engines to follow suit. But the second piece to this is whether advertisers want it. If they’re making less money with this new system (that is, receiving less clicks even with this spike in impressions), then they will not do it.